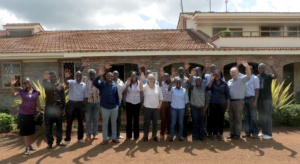 BIOBEST NV SET TO ACQUIRE REAL IPM KENYA LTD.
Biobest and Real IPM Kenya today announced that they have entered into an agreement with a view for Biobest to acquire Real IPM Kenya Ltd. Real IPM is a leading company in biological control in East Africa. Its broad market presence ranges from the export driven flower market to the smallholder cereals farmer. Biobest, headquartered in Belgium is a leading global player in pollination and biological control. It will now get a strong foothold in a part of the world where it has been absent until today. Both companies emphasize the synergies that the transaction will bring. The transaction is due to close in early 2017, subject to authorization by the Competition Authority of Kenya and other regulatory approvals. Biobest, headquartered in Belgium, a leading player in bumblebee pollination and biological control offers a complete range of natural crop care solutions. The company takes pride in providing growers with tailor-made advice to achieve their economic and environmental goals. Real IPM Kenya, headquartered in Thika just outside Nairobi, Kenya, is the foremost biocontrol solutions provider in Kenya and the larger Eastern Africa and seeks to design and implement robust IPM programs which actively replace pesticide inputs and improve crop quality and yields for growers and consumers. Real IPM’s transaction advisor is BlackGold Investments, a Kenyan advisory and investments firm. We thank all the visitors, customers and colleagues for visiting our booth at the HI NI FranKfurt 2016. We hope they enjoyed our hospitality. The fair was a great success for Sotecna both Snails extract and Essential oil activities. This ingredients Event gave us the opportunity to showcase all our products, which generated a great interest. Please, do not hesitate to contact us for any questions or feedback you may have following the exhibition. 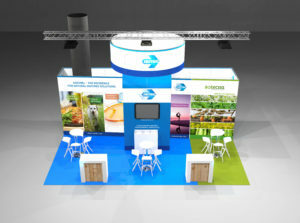 A special thanks is extended to Hungry Minds for making the event so successful by designing our outstanding booth. Sotecna is an innovative Belgium-based company whose main activity since its inception in the 1950’s is the production of 100% pure and natural Essential Oils in Lessines. In 2006, The company became part of Biofirst, the Life Science division of Floridienne ( a listed Belgian company specialized in niche markets). Since 2015, Sotecna proudly took over the production and commercialization of snail extract and Enzymatic Products in Ghislenghien from his sister company Enzybel.